While CBD oil is a useful remedy, you should also know about the possible side effects. CBD oil is increasingly used to treat symptoms ranging from anxiety and depression to pain and heart issues. However, it may also cause some side effects that users should be aware of. While generally considered safe and side effects are considered rare, every person’s body is different. No one’s experience is the same. But some factors like overall health, other medications used, and dosage may produce some unintended effects from CBD oil use. Though many people use CBD oil to treat anxiety, some have reported an uptick in anxious thoughts when using this oil. Increased dosage of CBD can result in an increase in anxiety, having the adverse result than what was intended. Care should be taken to take the appropriate dosage of CBD oil to avoid this symptom. New users, in particular, should start by taking the lowest dose possible and slowly increase it over time. There have been some reports that CBD oil can interfere with liver functions and metabolism in people who are taking certain medications or have some form of liver problems. Several studies show that CBD is known to interact with cytochrome P450 (specifically CYP3A4), which is a liver enzyme responsible for metabolizing over 60% of all medications, including CBD. Because some medicine can alter liver function and interfere with its ability to metabolize some chemicals that go through it, drugs that pass through this organ are contraindicated with CBD use. Patients taking any medications that affect the liver may experience some problems taking CBD and should consult with their doctor before taking the oil. Some users may experience dry mouth while using CBD oil. This symptom, commonly referred to as “cottonmouth,” can be uncomfortable, making it difficult to swallow, eat, and talk. Dry mouth is a common symptom of compounds derived from cannabis, such as THC, and may be the result of anandamide (an endocannabinoid that may bind to receptors in the submandibular gland). This gland is responsible for the majority of saliva in the mouth, and anandamide binding to it may result in signals to the nervous system telling it to produce fewer amounts of saliva, resulting in dry mouth. Two other common side effects some users may experience from CBD oil is drowsiness and fatigue. Taking too much of this oil can result in the user feeling drained of energy and unusually tired. This symptom isn’t usually a problem when taken in small, manageable doses, but is common when dosage control is ignored. However, even experienced users should take caution when operating a vehicle after taking CBD, since drowsiness may inhibit their ability to drive correctly. CBD is known to lower blood pressure in people with diabetes and heart disease. While this may be helpful for healthy people and those with high blood pressure, reducing already low blood pressure may be very dangerous. Even users who don’t have any heart or blood pressure problems may feel dizzy and lightheaded after using CBD oil. 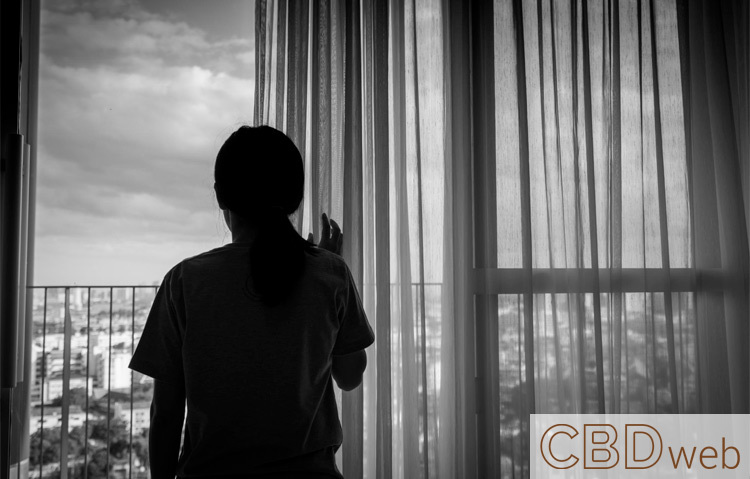 While generally safe for most people, users should be aware of the unwanted symptoms that may come from using CBD. While most of these side effects are temporary, some conditions, such as increased liver enzymes and lowered blood pressure, may result in serious health complications. Users should always consult their physician before using CBD oil to make sure they’re not at risk for these or any other side effects. Also, before using CBD oil as a treatment, it’s important to know not only the risks but also its rate of effectiveness and use.